Hello! Thank you for visiting our website. Our firm's expertise is workers compensation insurance rates, premium, regulation, and related issues. We offer over 60 years of combined experience in this field. For attorneys, we serve as consultants, expert witnesses, or ADR neutrals. For others, we provide direct legal representation and consultation. Please review a summary of our qualifications. You may also wish to refer to our Curricula Vitae. This website also contains a variety of other materials pertaining to workers compensation insurance premium, such as news alerts, articles, and excerpts from Levine on California Workers Compensation Premium and Insurance: A Comprehensive Practical and Legal Guide to Premium Issues, Strategies and Disputes. We invite you to explore this site and to contact us to discuss how we might help you. I cannot thank you enough for your presentation today and assistance to me … and for working so hard to craft the presentation, which I thought was flawless … please accept my personal and professional thanks. 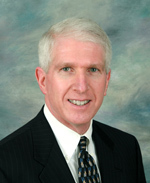 -- David Shapiro, Lewis Brisbois Bisgaard & Smith LLP, Trial Attorney, First Chair. We both thought you were wonderful. Couldn’t be happier. Especially with the way you ended things. Bravo! Art, verdict just came in – a win for us across the board, due in no small part to all your hard work! Thanks again. We think [your expert] report is fantastic. You did a great job. Dr. Art Levine performed exceptionally in managing a recent classification reconsideration for our company. Due to the very short period in which to appeal, he performed an initial assessment within a week, and thereafter guided us through the entire appeal process. He completed all the filings, as well as securing and then managing a reinspection in-person. Art communicated with us throughout the entire process in a very prompt and thorough manner, including managing our expectations through what tends to be a challenging appeal process. He educated us about all the details, and actually made it fairly enjoyable! I would strongly recommend Dr. Art Levine for other California companies who have the need to dispute a classification. -- Chief Executive Officer, Diakont Technologies, Inc.